While the markets have shown some recent volatility, the one thing we can count on is our dividends and dividend increases. One of our popular holdings, Microsoft (MSFT) announced a dividend increase yesterday. Their quarterly payment has been upped from $.28 to $.31 giving investors an 11% raise in their income. When is the last time you received an 11% raise? 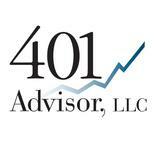 For more information on how to have a life long stream of rising income schedule a free portfolio analysis today!